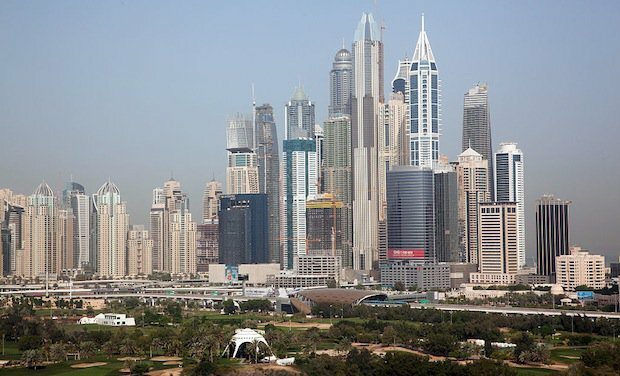 Dubai’s residential property market is showing signs that it will stabilise next year as it continues to post declines, according to the latest report by consultancy Cluttons. Residential sales values dropped 7.4 per cent year-on-year in the third quarter, and currently stand 26.7 per cent below the Q3 2008 peak. Quarterly transaction volumes also slipped by 21 per cent during Q3, led by a 22 per cent fall in apartment deal volumes. In Q3 2016, average villa prices fell by 7.8 per cent compared to Q3 2015 although more affordable communities such as The Green Community and Jumeirah Village registered no change in values. Mid-range homes in locations such as Motor City, Emirates Living, Arabian Ranches, Victory Heights and Jumeirah Park also recorded only a 0.1 per cent price rise. However, high-end properties in areas such as The Palm Jumeirah and Hattan Villas at The Lakes posted the biggest drop in prices at 11.9 per cent and 11.1 per cent year-on-year respectively. Faisal Durrani, head of research at Cluttons said: “The villa market has continued to soften during the third quarter. This is down to affordability issues that persist, along with a slowing in the rate of creation of senior level executive position. Meanwhile apartment prices dropped by 2.5 per cent in Q3, the fastest fall recorded since mid-2011. Declines were observed across the board, with The Burj Khalifa (-15.3 per cent) and The Greens (-9.2 per cent) registering the largest decreases over the last 12 months. Looking ahead, the rate of decline is expected to slow heading into 2017 before reaching a new base towards the end of next year, the report said. Key triggers to slow the drop in prices include the development of infrastructure projects linked to the World Expo 2020 and other mega projects. These will help to sustain, or lift, public sentiment, said Cluttons. Murray Strang, head of Cluttons Dubai said: “Although our view of 2017 indicates positive signs to reverse the market’s fortunes, we are closely monitoring the level of residential supply coming to the market. “With 34,000 units announced this year, it’s clear that project announcements are continuing at an unrestrained pace, despite what could be perceived to be challenging trading conditions. “If supply continues to increase in the next 12 to 18 months, as the global economy remains unstable, it is likely to cause the current stability and projected bottoming out of the real estate market to unravel, with further price falls likely to follow suit. In the rental market, the report showed that the quarterly rate of decline stood at 1.5 per cent in Q3, following a 4.4 per cent fall in Q2 – the strongest decrease recorded in five years. The latest change leaves average rents 8 per cent down year-on-year. Villa rents were down by 9.4 per cent compared to Q3 2015, while apartment rents fell by 5.8 per cent. “Apartment rents were unchanged in Q3 across all the submarkets we monitor, hinting perhaps that this segment of the market may be starting to flatten out,” said Durrani. “Similar to the sales market, the top end of the villa market in locations such as the Palm Jumeirah, Jumeirah Islands, and The Lakes have experienced the strongest rental drops over the last 12 months. “Overall our forecast remains unchanged and on track. We still expect residential values and rents to end the year 10 per cent down on this time last year, with any bottoming out unlikely to materialise till next Autumn at the earliest. “The change in US leadership may well bring some surprises as well, but this is something we are monitoring closely,” he added.